EJ Academy is a quarterly SEJournal Online column for environmental journalism educators and students to explore current research on environmental journalism, best practices or models for teaching and insights into the state of EJ education today. For questions and comments, or to suggest future EJ Academy columns, email the SEJournal Online EJ Academy editor Bob Wyss at robert.wyss@uconn.edu. 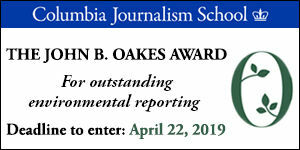 NEW FOR 2019: The Society of Environmental Journalists is celebrating the Year of the Student Journalist with the launch of an award to recognize the nation's finest environmental journalism produced by student reporters. Learn more about these student-focused initiatives. Even as traditional journalism jobs are in decline, innovative educators are finding ways to fill seats in journalism courses. EJ Academy editor Robert Wyss unpacks a recent study that examines the challenges of environmental journalism education and explores how journalism instructors must stretch to focus on preserving the “functions of journalism.” Find out more in our latest EJ Academy column. Journalism has hit many a speed bump in recent years. But one veteran observer finds that over the long haul, environmental reporters have produced much exceptional work. 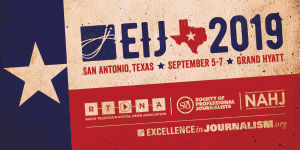 In the latest EJ Academy, Editor Bob Wyss looks at how trends like the growth of collaboration, startup innovation, and the explosion of visual and data journalism have boosted the professional in the last decade. Here are seven major findings from his research. ​When it comes to nosing out the real “fake news,” reporters who cover environment, health and science have a long history of unmasking hype, misinformation and propaganda. The latest EJ Academy shares a new initiative to teach budding journalism and science students together, so they can be advocates for science and information literacy. A journalism teaching project planned to cover local energy inequities. That was before Hurricane Irma swept Florida. In the end, inspired student reporters moved community leaders to action with human-centered, data-driven stories focused on solutions. Journalist and educator Cynthia Barnett shares the lessons in our latest EJ Academy column. If you can both do and teach journalism, your skills are in demand, writes educator Dave Poulson in the new EJ Academy column. Here's how to maximize your chances of finding such opportunities. Plus, Poulson's take on the value of fostering reporting skills and journalistic values, even among non-journalists. For student journalists and others planning to report this weekend's climate actions or future protests, our new EJ Academy column has a dozen rules for smart, safe reporting. Get tips on prepping and securing your gear, filing fast with the latest apps and knowing your rights so you can stand your ground. 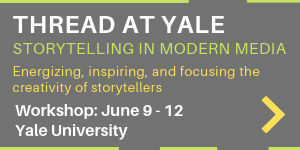 What Challenges Face Enviro Journalism Teaching? A look at major challenges encountered by teachers of environmental journalism found many: Fluctuating support from administrations and students, advocacy concerns, balancing technology and storytelling, and addressing dim career prospects. Insights — and solutions — from the new EJ Academy column. For this edition of EJ Academy, MU journalism master's grad Caleb O'Brien surveyed SEJ academics and current and former students to get tips on finding the best internships — and making the most of the experience. Excerpted from the Spring 2016 SEJournal.